KANO, NIGERIA: A suicide bomber on Friday blew himself up among crowds at a Shia Muslim procession outside the north Nigerian city of Kano, in the latest violence to hit the troubled region. The attack happened in the village of Dakasoye, some 20 kilometres (13 miles) south of the city, during a march by followers of the Islamic Movement of Nigeria. The group, led by Sheikh Ibrahim Zakzaky, said on its website the blast happened at 2:00 pm (1300 GMT) and that “scores” had been killed. The organiser, who asked to remain anonymous, said the bomber ran into the crowd before he could be spotted and detonated his explosives. “He was dressed in black like everyone else. 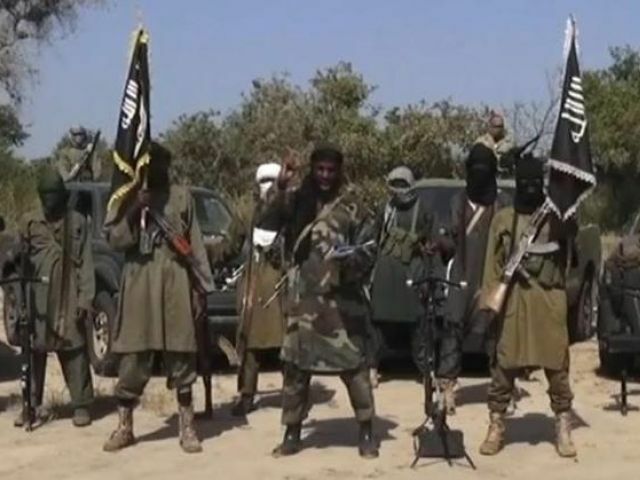 His accomplice was initially arrested and confessed they were sent by Boko Haram,” he added. “They were part of the young men abducted by Boko Haram in (the Borno state town of) Mubi last year and taken to Sambisa Forest where they were given some military training. The bomber detonated his explosives after realising his accomplice had been arrested, the organiser added. Boko Haram, the radical Sunni extremists who want to create a hardline Islamic state in northeast Nigeria, has previously been blamed for attacks on Shia Muslims in the region. Last November at least 15 people were killed and some 50 others injured in a suicide bombing targeting the Shia Muslim festival of Ashura in the city of Potiskum, in Yobe state. Ashura marks the death of Hussein, the grandson of the Prophet Mohammed. In April, a suicide bomber targeted a group of Shia Muslims outside an open-air mosque, also in Potiskum. He killed himself and wounded three worshippers. Boko Haram, whose six-year insurgency has left at least 17,000 dead and made more than 2.6 million homeless, condemns Shias as heretics who should be killed. The followers were on a “symbolic trek” from Kano to Zaria, in neighbouring Kaduna state, where Zakzaky is based, to mark the 40th day of Ashura. Their arrival on December 3 is designed to coincide with the gathering of pilgrims at Hussein’s tomb in the Iraqi city of Karbala. Friday’s attack came after a female bomber killed eight in the northeastern city of Maiduguri last Sunday and four teenage girls blew themselves up in northern Cameroon on Saturday killing five. Boko Haram has increasingly used suicide bombers against “soft” civilian targets since the start of a military offensive earlier this year that has pushed them out of controlled territory. Nigeria’s President Muhammadu Buhari has given his military commanders until next month to end the conflict but there are fears suicide and bomb attacks may persist. Senior military, security and intelligence figures on Thursday questioned the deadline and said it was “unrealistic” because of the wave of bombings in the region.